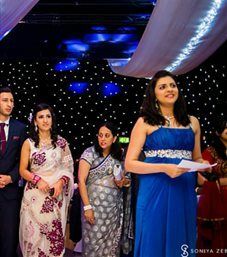 With a vast amount of experience under her belt Minoti Parikh is one of the most sought after event hosts working in both England and India; covering live events, weddings, private parties and corporate functions. 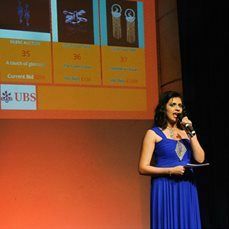 Boasting appearances at over 1400 live shows Minoti Parikh has been the event host at some of the most important events on the corporate calendar. 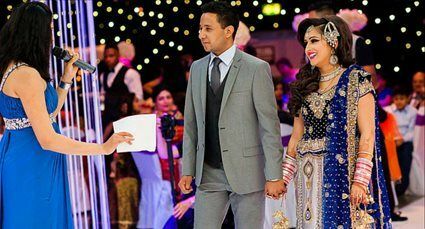 She has had a lot of experience in corporate entertainment and has dazzled stages across Dubai, London, Manchester, China, South Africa, Maldives & Europe. Her unmatched confidence & presence of mind has made her the top choice for companies like Apple, Vodafone, Audi, Bosch, L’Oreal, HP, Bentley, E&Y & Barclay’s. University educated and academically ambitious it took many by surprise when Minoti embarked on a career in the entertainment industry; however Minoti has brought her inherent intellect and determination with her to her role as an event host. She is charismatic and intelligent, her work as a TV presenter has brought her into contact with a number of high profile world leaders and area specialists. She has interviewed superstars and government officials, travelled the world and entertained large crowds at both live events and in her capacity as a TV presenter. 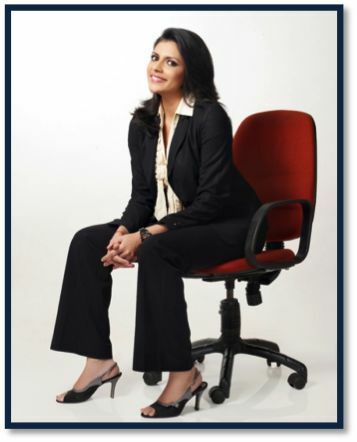 She has been the Lead TV Presenter for Star Sports, Zee Sports, CNN-IBN, CNBC and has presented the MRF Biking Championship for the last 6 years and the Formula Ford Championship for 2014. 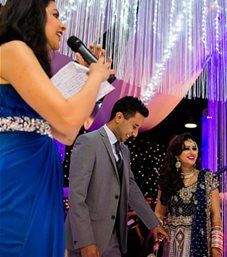 With more than ten years of experience and 25 countries visited Minoti Parikh has established herself as one of the most well-respected and sought after Master of Ceremonies. She has already made her presence felt in the Events and Media industry here and is positively looking at adding more value to her portfolio. Despite her already impressive CV Minoti asserts that she still has many milestones to reach and achievements to make and intends to take her career as an event host to even bigger heights. Minoti Parikh has been our Master of ceremonies for our annual events for 3 years in a row. She leaves a mark that no one can forget both as a professional as well as on personal grounds too… Minoti is known for her reliability, adaptability and she has her hand on the pulse of the audience she caters too! 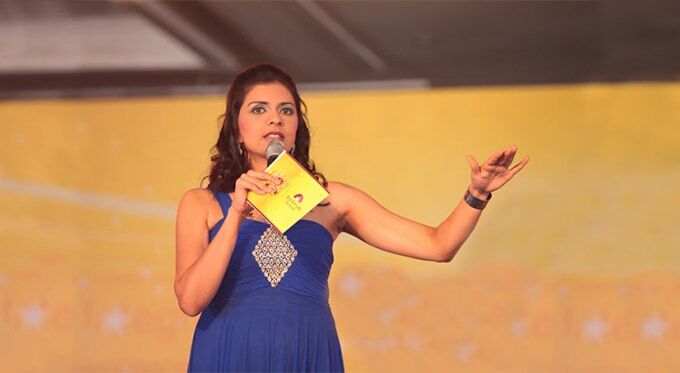 Minoti has been the Master of Ceremony for our events for the last few years across India and internationally as well. An attribute that is distinct is her involvement in the entire process, She takes charge when she is on stage and is very articulate and gets the pulse of the audience almost instantly. Minoti is Different. Having worked in many shows over the last 14 years I would rate Minoti as the best Compere/ Anchor I have come across. She is beautiful, charming and vibrant. Life becomes much easy when she is hosting the event. 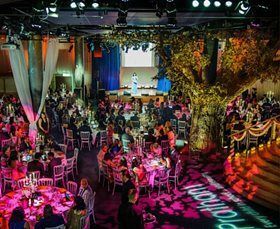 She understands the brand, the client requirements in an instant and is able to express what the client wants to convey during the event. Her control on the audience is excellent as well as her connect with the audience. She oozes with energy and confidence which adds a great value to the event. She is always the first choice for all Country Club Events. Minoti you were fantastic!! I had lots of people asking me about you and I will be sure to recommend you to anyone I know getting married! My mum said we should definitely book you for my brother’s wedding too! It gave a great fell to the day having you there, you bought a certain glamour to the proceedings and you were also really helpful with the logistics and all the family commented on how helpful you had been! Thank you so much again for making our day so special! Thank you for hosting the Pratham UK Gala event Minoti. lt was our pleasure to have you act as the gracious host. The event was a grand success and your role as an Emcee definitely helped uplift our cause in every way. You are immensely talented and we look forward to working with you in the future.